A lovely champagne hatinator. Set on a headband for easy wearing. Its a perfect size for a small lady or a tall lady! Its light to wear and its just a stunning millinery creation with feathers for drama and movement. This champagne hatinator is set on a satin covered headband for comfort and ease. You won't even know you are wearing this fabulous piece of millinery. 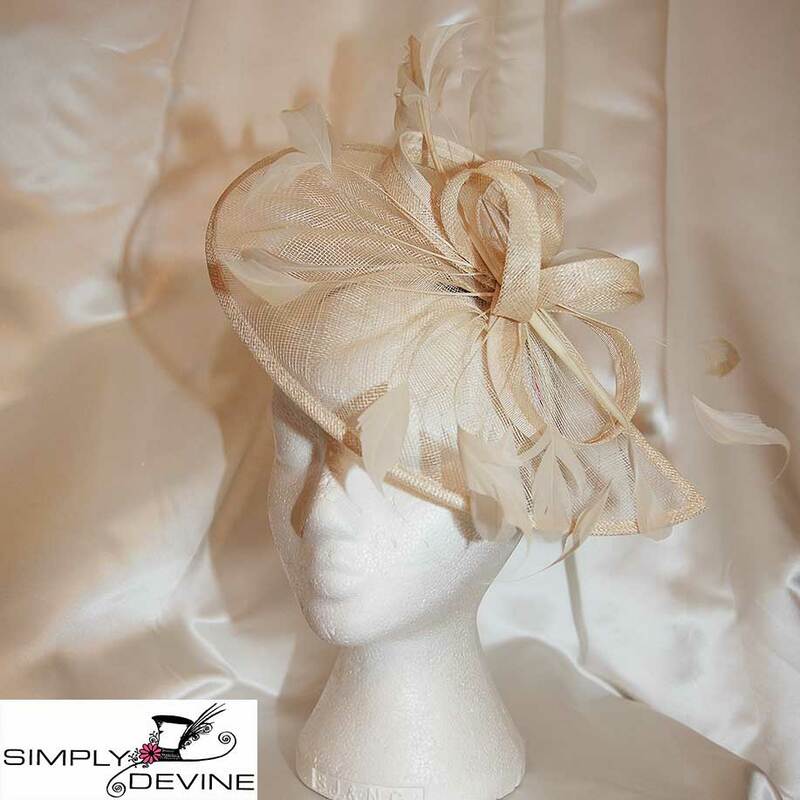 Its light yet impressive, and the quilled feather adds height and drama, perfect for a day at Ascot or as a mother of the bride. 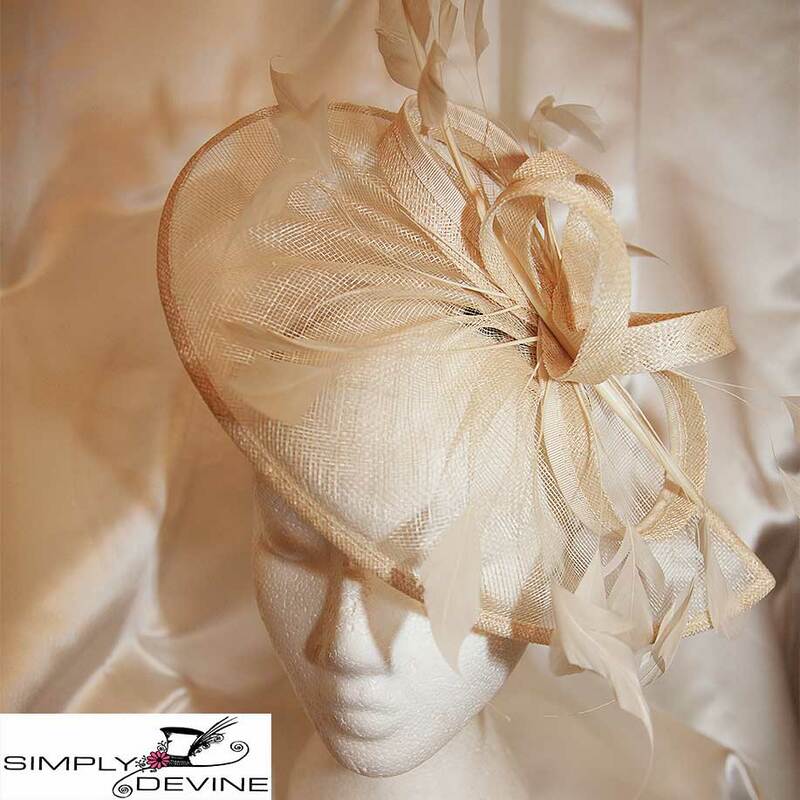 Simply Devine is a milliner of fine hats. At the Simply Devine boutique you will find hats and fascinators from top London designers. 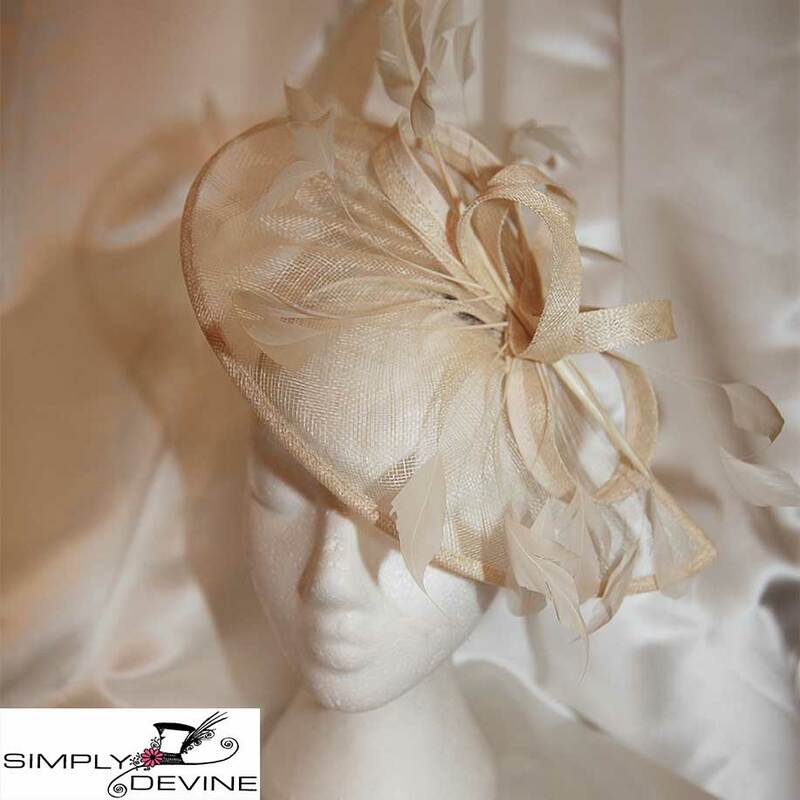 Now one of Britain's Best Hat Shops, Simply Devine is one of Yorkshire’s specialists in hats, hatinators and fascinators offering designer label hats and fascinators including an extensive range of accessories including co-ordinating handbags, wraps and jewellery. Ladies travel up to 300 miles one way to visit the Simply Devine Hat Shop in Tadcaster, and have even been known to sleep in the local car park in campervans. Liz Devine-Wright sends hats, hatinators and fascinators all over the world, and if you need any help matching up to your colour of your outfit then just send us a bobbin of cotton matching your outfit and we will advise you with your millinery selections. THIS PIECE IS NOW SOLD BUT IF YOU REQUIRE ONE, PLEASE GET IN TOUCH, WE MAY NOT HAVE HAD TIME TO LOAD ANOTHER ONE!